Contents: Photos, documents, and data relating to various homes, businesses, and other buildings relevant to the development of North Haven. Arranged by street and number (where possible). Contents: Photos and documents illustrating many aspects of transportation in town, varying from road names to modes of transportation including railroad and trolley information. Contents: Materials relating to various town, civic, and private organizations that played a role in town over the years. Contents: Documents, photos, and advertising materials relating to various businesses that existed in town over the years. Contents: Materials ranging from photos and correspondence, family history and documents, and the Good Times Gardens. Emma Brocksieper diaries from 1906-1934. Contents: School histories from the earliest days. Selective class photos. School visitors’ reports. Contents: Materials that document the land, and the development of town parks including documentation on efforts to claim and maintain open space. Contents: Photos and other materials documenting the various town-wide athletic and recreational activities. Contents: Photos, documents, news articles, and related materials highlighting the development and growth of the town’s library system. Contents: Reports and other historical materials describing the land, landforms, and geography/geology of North Haven. Includes weather reports. Contents: Documents, pamphlets, programs, program memorabilia, etc. showing the various ways that North Haven has celebrated over the years. Includes North Haven Bi-centennial materials. Contents: Materials related to the founding of and subsequent celebrations of the annual Mayflower Banquet dating from 1896. Most programs. Some news articles. Contents: Materials relating to the growth of Town Government and its various agencies. Includes police, fire, and other municipal agencies. Contents: Photos and other documents relating to the development of the postal system in town. Includes material on early postal collection locations, the center post office at its various locations, and the Clintonville and Montowese post offices. Extensive materials from Clintonville Post Office. 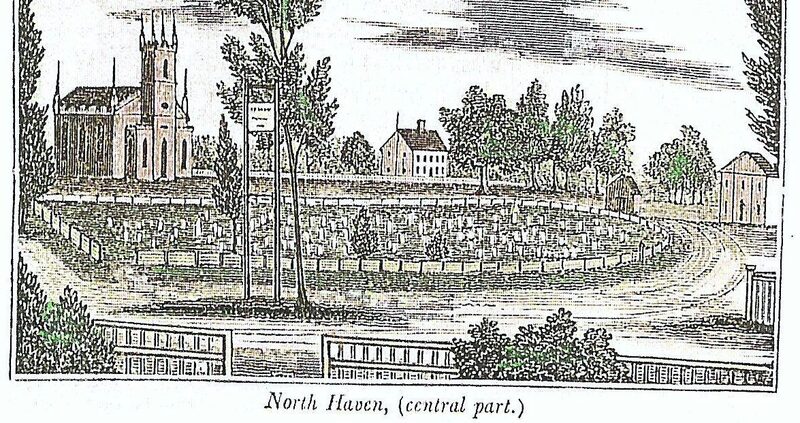 In addition, we have a fair-sized collection of documents and other materials relating to select North Haven families and individuals, materials on the Civil War, town maps, and ledgers from select local businesses. We continue our efforts to organize the materials that we have and will update periodically. Identifying and organizing the archives without the efforts of volunteers Marisa Hexter, Kathy Prentiss, Kathy Gee, Chris Cipriano, and Julie Hulten would be a daunting task indeed. Their efforts are much appreciated!